And started right in talking about the foreign kings and queens. We knew he was a thoroughbred and not a dude from town. Save Our Sulphurs aka S.O.S. 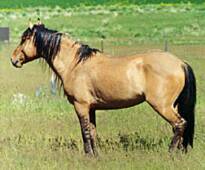 RETURN THE 20 MILLION ACRES TO THE INTERMOUNTAIN WEST MUSTANGS! Western States: 155.53 Million Acres -AND - NFS Land: 192.8 Million Acres. Any horses to be adopted will now have some very vivid impressions of humans. 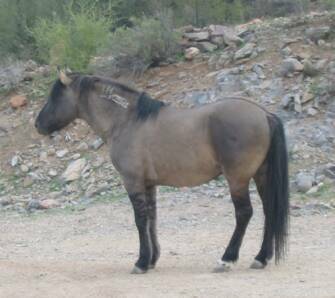 Future adopters, please be patient and recognize what most of your mustangs have learned so far about humans is from the BLM and it's contractor wranglers. This is an old, old cowboy song, "Zebra Dun" is a traditional American cowboy song dating from at least 1890 and "Zebra Dun" was one of the most popular songs among the cowboys and is included in many song books. This song proves that these unique zebra striped duns lived out in the wild west.